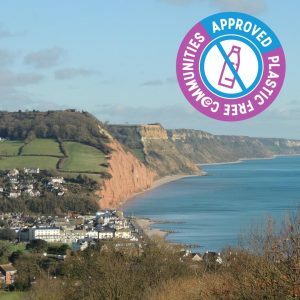 Surfers Against Sewage Plastic Free Sidmouth – we’ve done it! 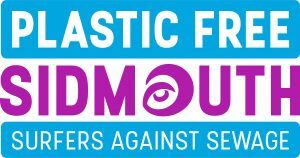 It is with a huge amount of pride in our group and town that we can announce that Sidmouth has gained the ‘Plastic Free Coastline’ accreditation from Surfers Against Sewage. We started this process back in February with our open public meeting, where we organised ourselves into a steering committee (one of the objectives required), made up of representatives from Sidmouth Plastic Warriors, Vision Group for Sidmouth (Futures Forum), Sidmouth Town Council, Sidmouth in Bloom, Sidmouth Coastal Communities, Sidmouth Fair Trade, Sidmouth Folk Week, Sidmouth Chamber of Commerce, Sidmouth Science Festival, Sidmouth Arboretum and more, as well as interested individuals. Our first major aim was to get this accreditation in order to be recognised as taking the issue of single use plastic very seriously. Another objective was that we needed to get local businesses on board – only 6 were needed to make 3 changes away from single use plastic in their operations. We managed many more than that; and it is thanks to the Filling Station, the Dairy Shop, Daffy-Down-Dilly, the Summer Shop, Taste, Dukes, The Hotel Elizabeth and Kingswood & Devoran Hotels, Ice Cream Paradise, Sidmouth Rugby FC, Sidmouth Golf Club, Browns’ Kitchen, Ford Simey, The Chattery, Cheriton Guest House, Sidmouth Sailing Club and Devon Embroidery (see our supportive businesses page) The aim now is to build on these changes to forge ahead with being an innovative town finding solutions to the problem facing the world, acting locally to push for global change. We also needed to arrange beach cleans and be active in the community so it is also a huge thank you to anyone who has attended any of our monthly beach cleans. Whilst we don’t want to be doing beach cleans for ever (our main aim is to move away completely from single use packaging therefore removing the problem at source) we know that for now we need to rid the beaches and streets of the plastic before it has a chance to break down into dangerous microplastics. Thanks also to the Sidmouth Herald for its coverage of everything we have done, vital in getting our message out. We have engaged with many of the area’s schools and youth groups, with local author Jo Earlem, as well as Guy Russell from Jurassic Paddle Sports and the Lifeboat, to get the next generation motivated to change patterns of behaviour. We also thank the local churches for their backing and support. Finally we had to get the backing of local council and we thank Sidmouth Town Council for being 100% supportive. Also thanks to Barry Maher and the Streetscene team for their support during our litter picks and beach cleans, and Pete Blyth at EDDC Beaches. 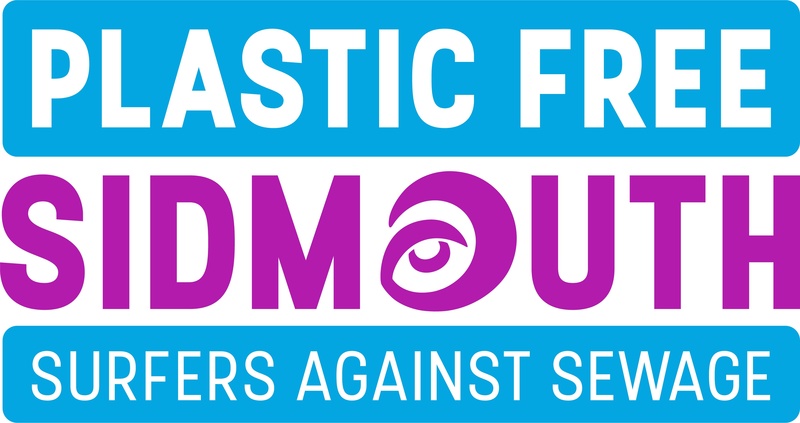 If you would like to join us in our actions, either join our group on Facebook – Sidmouth Plastic Warriors, or email info@sidmouthplasticwarriors.org to get on our mailing list. We aim to do twice daily clean ups during Folk Week so if you can help with those please do let us know. A huge thank you to the 330 (and rising) Sidmouth Plastic Warriors and the 7.5k who signed the petition to get the ball rolling originally! Hope I haven’t missed anyone off! This entry was posted in Clean ups, Meetings, Petition, Publicity, Town Action and tagged plastic free coastline, Success, Surfers Against Sewage. Bookmark the permalink. ← Plastic Recycling – A Greenwashing Myth?